This week our #AskMeAnything session welcomed Chris Wiggins, Product Manager at Square, to share his Product Management Tips and Tricks. Chris has some serious expertise in guiding teams and creating delightful products enjoyed by millions around the world. Curious about how Product Managers have broken into and mastered their roles? Then join our Product Management Slack Community and ask them! Chris Wiggins has been the Product Manager at Square for about a year and a half. He has 7 years of experience in managing Engineering, Design, UI/UX, and Art teams to meet goals under pressure and he is responsible for the creation and ownership of product roadmaps driven by qualitative and quantitative data. Besides maintaining existing products while delivering new features, he also specializes in Project Management, Game Development and Production, Agile development, Product Analysis, and Roadmapping. What do you like most about being a PM? What do you like least? I like the most: I love that I get to interface with all facets of the product building process… Design, Eng, Marketing, Security, QA, Art, and especially the customers. This makes each day less routine, and better matches my personality. What I like least: I often long to actually build stuff versus enabling the builders. I have to use hobbies to satisfy that urge. Similarly, I sometimes get lost in the ambiguities product folks have to deal with on a daily basis. Depending on the subject matter ambiguity can be fun, but sometimes it’s just frustrating. Would you say the Product Management role is more of a technical role focused on data? What about PMs that are driven by creativity and abstract ideas? What unique can the later group bring to PM role? This is highly dependent on company and product. I think having a baseline understanding of the technologies at play, and an analytical mindset that challenges thoughts with proper use of data, is key. Most folks hired in a junior/new role don’t have the luxury of being primarily creative/idea folks, but can still benefit with that mindset – they just have to back it up with an ability to execute. I often catch myself thinking “inside the box” since I understand what is and isn’t possible with my product. When I do this, I constrain my ideas, which may work AGAINST our ultimate vision. In this sense, I’m just speaking on behalf of engineering vs. speaking for the customer. This is where abstract and creative thinking can really come into play – understanding but challenging what’s possible, by the right margins. How much does your Game Development knowledge impact in your decision making? I believe that my Game Development soft skills have a huge influence on me. Happy to hear you’re learning while building a game! I think it’s a great way to get started, and agree that it could help shape the way you approach product process from the get-go. It’s rare to find someone who doesn’t play any games at all, so you can get the full loop of idea > build > test > iterate, versus, if you were building something highly-specialized that no one really wanted to try or would be able to provide feedback on. Related: SO many products are gamified these days, for better or for worse. 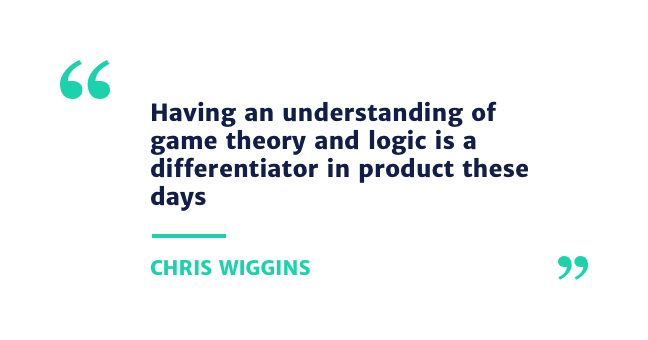 Having an understanding of game theory and logic is a differentiator in product these days. What tool(s) do you use to manage and socialize your product backlog? In my role at Gather, I researched and introduced a tool called Clubhouse, which looked as if Slack and Pivotal Tracker had a baby. It had a great mix of accessibility (like Slack) with the underpinnings and features necessary for driving a technical team (like Pivotal). It’s layout was much like a scrum/kanban board, which made our priority stack and project status clear and easy for all the teams to review and understand. Outside this I’ve also found success with Google Sheets, primarily due to the ability to comment on items. Similarly, it’s sometimes necessary to create presentations that really focus on the data relevant to your reviewers. Engineer teams are going to look for different info (systems) versus, say, your sales team who is more interested in what’s being delivered for the customer. What tool(s) do you use to create a product market fit analysis? I’ve always liked the SWOT Analysis for building a product case, but any tool can be misused to lean into bias. Most of the time these tools aren’t meant to derive an answer, rather they frame the conversation and questions to help focus teams toward a go/no-go decision. The key to this is understanding the audience by whatever means necessary (interviews, data – this is Opportunity), and having a very thorough understanding of the competitors and their success (Threats). Were you ever in a situation where product decisions were made at a higher level than you, therefore making you follow that directive as opposed to looking at it as a team to see if its a product fit first? This is an interesting struggle! I’ve definitely been on both sides of the spectrum – leadership over-direction and under-direction. In cases where direction is given without proper evaluation, there are a few questions I’d wonder: Does this lead have information or expertise I don’t have? Give them the benefit of the doubt initially – trust but confirm. If you have a relationship with this lead, it’s not outlandish as a PM to poke at the assumptions made in an inquisitive way that may show faults in the thinking. If you have a hypothesis that it’s wrong, you should tread careful and validate that hypothesis with backing data, user feedback, or team consensus. And finally, your lead isn’t looking to just have you raise problems, but instead, provide solutions; so show up with an alternative or some other areas to explore and validate before writing it off. This would be a great topic for an entire talk alone! Do you have any tips for successfully balancing the need for synchronizing team members with the need for shielding their time to be productive? A few example from my own experience is a “no meetings allowed before lunch” rule to ensure a minimum of 4 uninterrupted hours of production per day. The eternal struggle! Here at Square, we use an interesting process to help negate this: Everything is documented. Specs, decisions, meeting notes, etc. In short, this allows folks not in a given meeting to understand what’s happening, what was discussed, and provide commentary via comments or threads. This has freed up ICs from attending every meeting or being interrupted each time, allowing them to ‘catch up’ with the current thinking when it makes sense. We also lean heavily into leads who are expected to consume info, challenge it if necessary, add their flavor of thought, and then finally distribute it to their functional teams as they see fit for efficiency and reduced overhead. When is the right time to introduce product adoption and analytics for a B2B SaaS product? As soon as you’re able, even if it’s lightweight. Though early on it’s not going to be the ONLY part to live by. You aren’t in the optimization phase, but exploratory. Early you should be talking to adopters directly and working to better understand the struggles that the data won’t tell you. What is your experience with the Agile process? Has it been helpful with: (1) Ironing out dependencies from cross-functional teams? (2) Has it made your life easier with grooming/sizing functional specs/tickets? (3) Has it made it easier for your sprint planning? In my experience, unless you have a dedicated Project Manager, it’s difficult to solve for all cross-functional dependencies without “manual” check-ins. I’d encourage PM teams to meet regularly with the various teams to reiterate roadmaps and sprint priorities to solicit requirements and concerns. Some “forms” of agile like sizing/estimating by user stories has actually caused more work versus less for me in the past. The team I was working with wasn’t totally bought-in, and required additional conversations which doubled the effort on my side. If I were to do it again, I would have proposed options versus dictating a specific “by the book” process so that the team would be bought-in. All said and done, a thorough, prioritized, backlog is key to sprint planning. Ideally, these are very short meetings if all the parts leading into it are stood up, but I’ve not had much success in getting this down to 10-15 minute meetings in my stints with agile. How did you start into UX/UI? I’ve not done any UI/UX professionally, but was lucky to have some background from my time in college. I believe that having a high-level understanding of UX principles is an important aspect of product, of course, not only to communicate with the pros on your team, but to also help sell a story. As a PM from an Engineering background (not CS), Square intrigues me because of their mix of hardware and software. Do you feel like lacking a CS background is detrimental for PMs looking for opportunities at Square? For Square specifically, not at all! A number of my PM colleagues don’t have extensive technical backgrounds. I do believe that having an analytical, inquisitive, mind can make up for this. 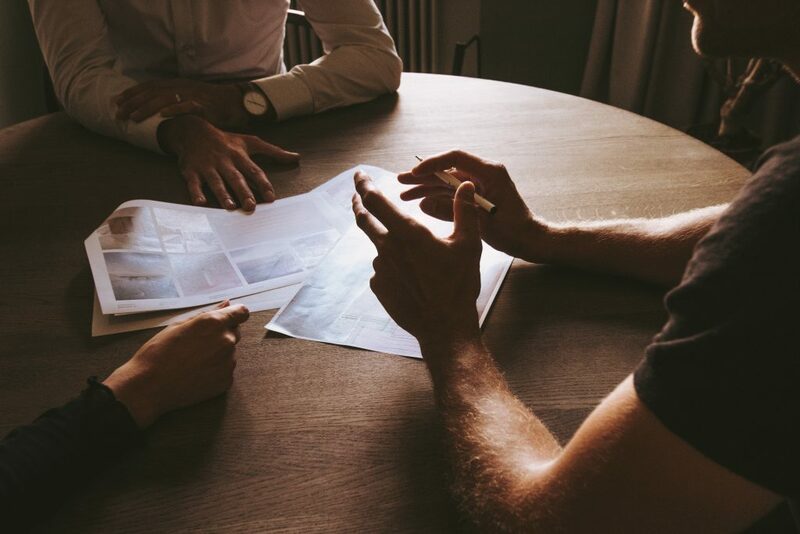 We have strong Engineer teams that handle architecture and related challenges, freeing us Product Managers up for building customer empathy, connecting with stakeholder teams, analyzing the market, and building cases for the right product to build. None of this requires high technical expertise. This obviously varies product to product. What roles do you believe are great ways to break into Product Management? I’ve admired a number of Product Managers from so many backgrounds. The most common in my experience are the traditional routes: Consulting, Business Analyst, Engineer, Designer, and my own route: Project Manager. The best thing you can do is join a company that encourages growth outside your defined role, has a culture of mentorship, and ideally a direct manager that can push you and won’t “hold” you for the sake of maintaining a headcount. Recently heard a pithy quote for choosing your next role: Follow management. I’ve had cool roles with bad managers and I just wan’t happy. I’ve had sucky roles with great managers, and I was much happier. If you were presented with multiple Product Management opportunities, how would you evaluate which is best, considering that the products were all of interest to you? My ability to work well with a given manager or lead is key. Your ability to stretch, and guidelines for growth are heavily dependent on your support up-top. Is the company or product growing? “If you aren’t growing, you’re slowly dying.” How is my success measured? Am I held accountable for the right things, and do I have the autonomy to pursue those? Or am I just a sounding board for other folks? Do they need a PM with my strengths? E.g. I may be very interested in data analytics, but some roles won’t require it of me. What would be your advice for preparing a product case study conducted in a PM interview? I actually enjoyed reading the book Cracking the PM Interview – not only is it a great prep for interviewing, but it gives very specific details of PM practices that helped me reflect on my own areas of growth. I am currently PM in a mobile gaming studio, and I was wondering what kind of benefits and difficulties a Product Manager would find when moving from games to another kind of digital product? I made that exact transition! I was lucky to be at Zynga where a ton of folks ended up taking on roles in a variety of industries. I followed a fellow PM out of Zynga to an education startup, and so started my non-gaming PM life. I’d recommend focusing on the aspects of the job that aren’t game-specific, of course. Every company is interested in the same core performance indicators: Growth, retention, revenue (etc). Leverage your familiarity with these from your time in games. 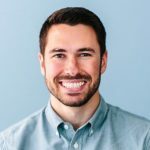 Any advice for aspiring Product Managers? Lean heavily into your network, LinkedIn, and local meetups to get this type of AMA experience all the time! Of the folks I’ve seen “make the transition” into Product Management, they’re all highly active in the PM community even before they’re a titled PM. You never know what a random message, coffee, or chat over a pizza could bring or WHO it could introduce you to. I believe the product community is still small enough where we’re all willing to help others out, provide mentorship, and give real advice on best next steps for your adventure.